Why iPhone TouchID doesn’t work after rebooting? You might noticed that after you reboot your iPhone you can’t use the touchID and you are forced to enter your PIN or Password in order to use your phone. Here is why, According to Apple, the touchID doesn’t store your finger print but rather stores a mathematical representation of it which can only be accessed by the Secure Enclave, which is protected by your passcode / PIN. Here is a quote from Apple explaining why in details. Touch ID doesn’t store any images of your fingerprint. It stores only a mathematical representation of your fingerprint. It isn’t possible for your actual fingerprint image to be reverse-engineered from this mathematical representation. iPhone 5s also includes a new advanced security architecture called the Secure Enclave within the A7 chip, which was developed to protect passcode and fingerprint data. Fingerprint data is encrypted and protected with a key available only to the Secure Enclave. Fingerprint data is used only by the Secure Enclave to verify that your fingerprint matches the enrolled fingerprint data. The Secure Enclave is walled off from the rest of A7 and the rest of iOS. Therefore, your fingerprint data is never accessed by iOS or other apps, never stored on Apple servers, and never backed up to iCloud or anywhere else. Only Touch ID uses it, and it can’t be used to match against other fingerprint databases. 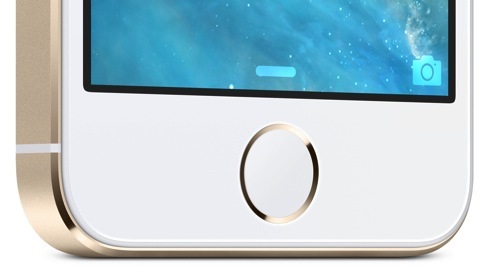 For more info : Why you can’t use Touch ID to unlock your iPhone after rebooting.